Atelier Spatz "Let Your Imagination Run Wild"
I'm getting super excited for Halloween, so I decided to share a round-up of "Unique & Cool Halloween Costume Ideas for Kids" on babiekinsmag.com that can help inspire you to come up with a cool costume as unique as your little ones. In my search for unique & cool costumes I discovered what in my opinion is one of the most beautiful and creative shops on Etsy, Atelier Spatz, they create hand made and bespoke children costumes and bird capes. Designed and hand made in London, these children's costumes are absolutely stunning and “Let Your Imagination Run Wild”! Enjoy & Happy Halloween Month! Mario went back to school a few weeks ago and was very excited! He was especially excited to start Grade 1; to see his friends; and, to get a Schultüte. 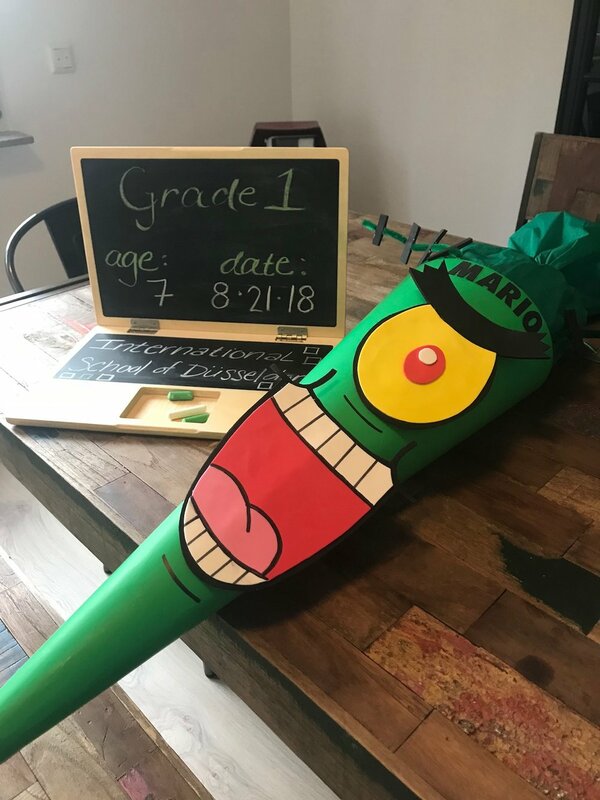 I made Mario a Schultüte the first year we moved to Germany; however, this large cone-shaped surprise is traditionally given to children on their first day of 1st Grade, to make the first day of primary school a little sweeter. 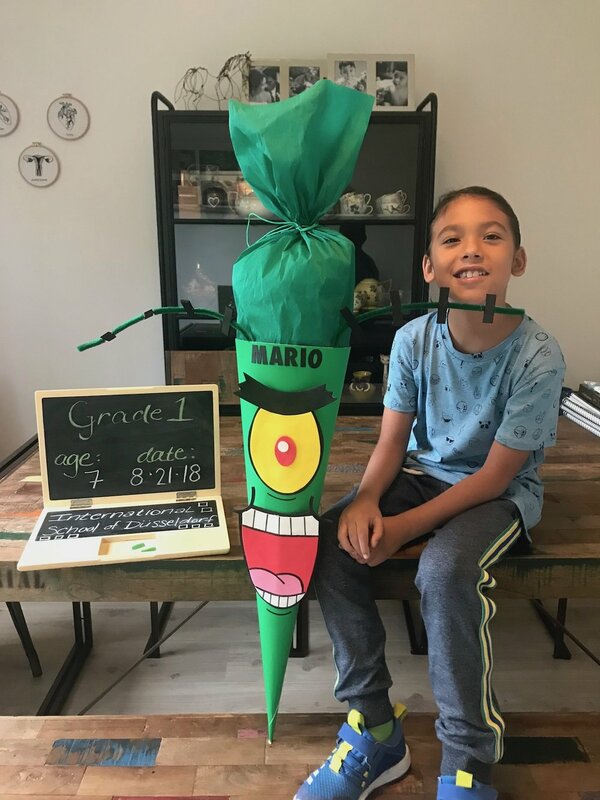 Since Mario officially entered the first grade this year, I made him a very special Plankton Schultüte filled with toys, popcorn, candy and school supplies. 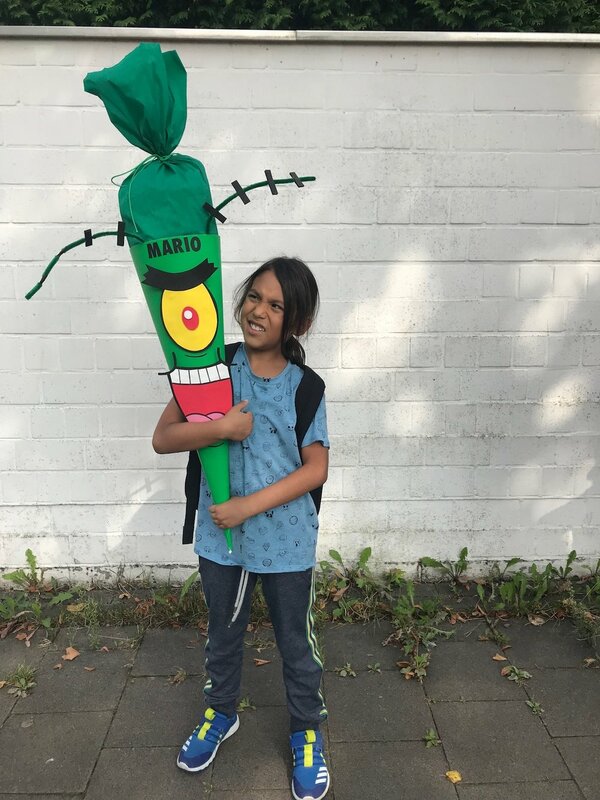 Mario is currently obsessed with Spongebob Square Pants, specifically Plankton, so a Plankton Schultüte is exactly what he wanted. 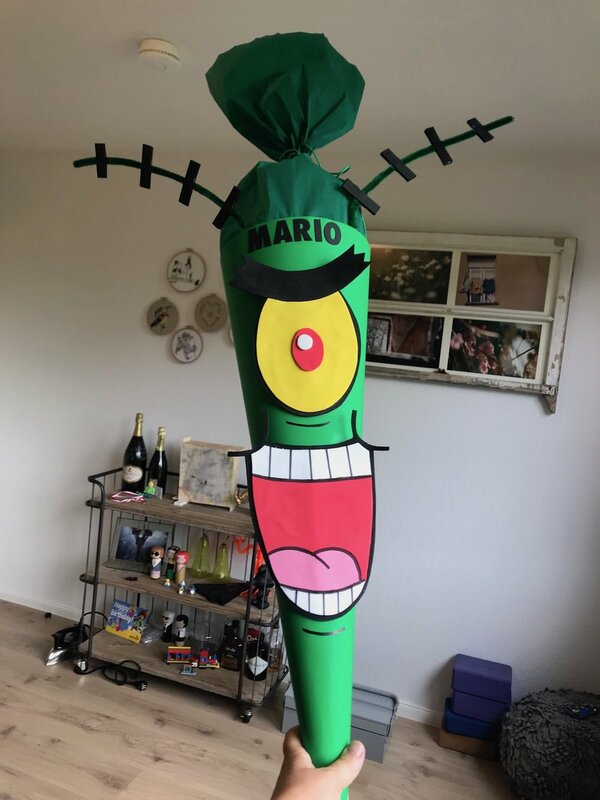 I couldn’t find a Plankton Schultüte for inspiration, so I looked to Plankton himself and was able to create Mario a Schultüte he said was “perfect” and one which he will never forget! It truly was a special treat for his first day of first grade! I love the German tradition of making and giving a Schultüte on the first day of school. Do you have any traditions for your little ones when they go back to school? Whether you do or not, I hope your little ones have a Great School Year! Today is Labor Day, a day celebrated in America to honor all of the working people and how they helped to build our country's strength and prosperity. Labor Day also represents the end of summer and is usually celebrated with summer activities. I hope you are able to relax (not work) and enjoy the day with your loved ones barbecuing, having a picnic, swimming, camping and enjoying the beautiful outdoors together. This Labor Day is also a great time to play fun games and do activities with your little ones about what they want to be when they grow up. I recently read an article on Fatherly.com who partnered with New York Life on the Imagination Report: what kids want to be when they grow up, and I was saddened to learn that parents have less of an influence on their child’s career dreams than ever before. Parents have fallen behind TV, movies, and online streaming sites like YouTube as influencers on what their children want to be when they grow up. Therefore, I think this Labor Day is the perfect time to influence your little ones to follow their dreams, even if their dreams are to be a fairy with red, white and blue star wings! Welcome to the magical world of Tutu du Monde and their Autumn/Winter 18 Collection A Winter's Tale - a world of wonder and whimsy, filled with femininity, fun and fantasy where anything is possible. 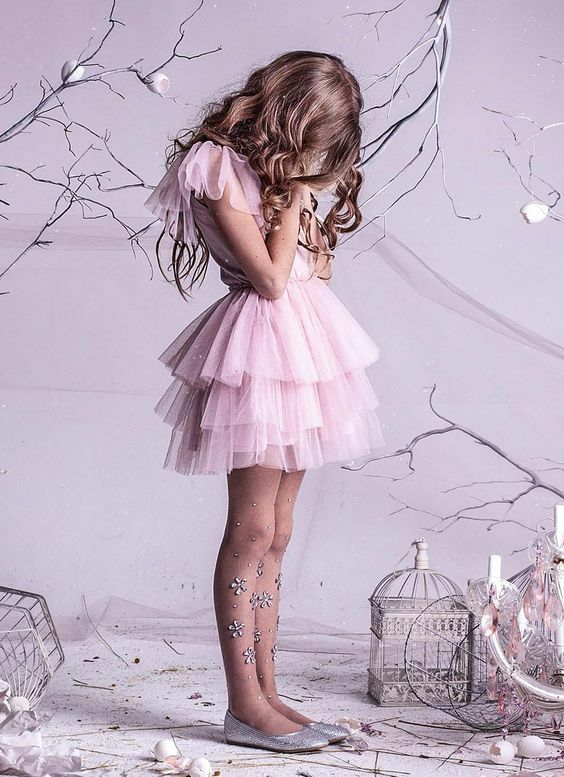 I love Tutu du Monde because their beautiful dresses inspire the inner goddess of little girls! Their Autumn/Winter 18 Collection is inspired by A Winter's Tale and includes Tutu Du Monde's signature skirts and tutu dresses in soft shades, jackets and shrugs, ballet flats and accessories. How magical is this collection?